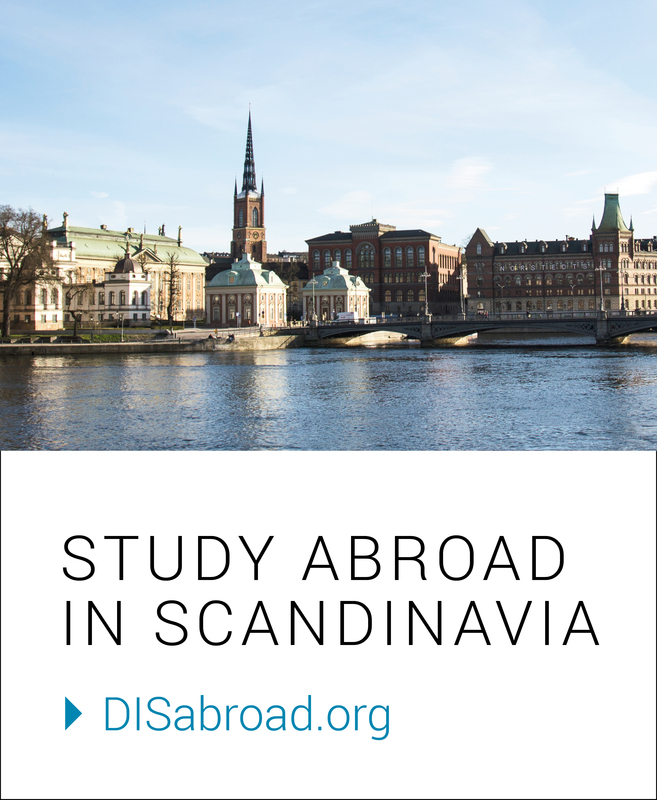 Kaleigh, Indiana University, attended DIS Copenhagen during the Fall 2017 semester. She explored Copenhagen with her camera, capturing the life of the city and her experience as a student. Read on to hear her recommendations on the top places to photograph and discover. My semester with DIS Copenhagen in the fall of 2017 gave me some of my best friends, my fondest memories, and my best Instagram posts. Copenhagen has everything you could want for your study abroad feed: Colorful buildings, beautiful public parks, ornate castles. The longer I stayed in the city, the more beauty I found in less obvious places, as I passed by bikes sitting against coffee shop windows or peeked inside a courtyard tucked away from the street. Your time in Copenhagen moves quickly, and you’ll wish you took more photos to remember the journey when it’s done. A pretty much obligatory tourist stop. Nyhavn really is that beautiful. The colorful row houses lining the canal make it such a special place. Each time I biked by, the red NYHAVN 17 sign reminded me how lucky I was to pass by such a beautiful sight so casually. On the last day of my semester, I walked by Nyhavn one last time and it felt like I was saying goodbye to a piece of home. In my opinion, Magstræde – located in Indre By (the inner city) only a few blocks from DIS – is the most beautiful street in Copenhagen. I love it so much I even bought a tapestry with Magstræde printed on it for my room back in the States. The colorful alleyway perfectly captures the quintessential charm of the city. Kongens Have, or the King’s Garden, was merely a few minutes away from where I lived, so I spent many afternoons reading here (before it got so cold I couldn’t feel my hands). The serene atmosphere and beautifully trimmed shrubbery made for reflective, and eventually, sentimental shots. Rosenborg Castle, tucked inside the park, gives your photo production value and a little bit of royal flair. If you have a chance, go inside and see the crown jewels. Hint: They’re big. In my Danish class, we went on a walking tour of Christianshavn and our tour guide showed us some apartment courtyards, often hidden just behind an unlocked gate. Thanks, Danish sense of community trust! Poke your head inside and be respectful of their center alcove, often lined with bikes and window boxes. These courtyards are where I captured some of my favorite encapsulations of Danish living. Heading outside of the city center, Nørrebro brought amazing (and cheap) falafel into my life, so I was already inclined to venture down Nørrebrogade. That’s when I stumbled upon Superkilen, a multi-block playground with grounds painted black with white stripes and geometric red alongside a traditionally grassy path. At the center of the Black Market (the dizzying striped area) is a huge hill that makes for an epic photo op, either of you at the top or from below. Sure, you can see the spire atop the Church of Our Savior from almost anywhere in Copenhagen, but venture over to Christianshavn and climb the skinny staircase all the way to the top for the real view. Nothing sums up the “I’m abroad, if you haven’t noticed, but look at how beautiful this place is” feeling quite like the windy selfie that will ensue. I hope, for your sake, you have been able to hop on a bike while in Copenhagen. If you’re renting one for your stay, take it out for a bike photoshoot in a quiet spot (read: Not on a busy street or area where flocks of Copenhageners bike through). It might be silly, but you’ll solidify some friendships as you giggle trying to capture the perfect photo without losing your balance. If you don’t have a bike of your own, there are a multitude of bikes resting outside cafes that are asking for you to take a photo of them. It took me a while to actually find Konditaget Lüders, even though a rooftop park shouldn’t be too hard to snuff out. To enjoy the colorful park for adults, you’ll need to climb to the top floor of a parking garage in Nordhavn. You’ll want to go on a day when it’s a little warmer or bring your warmest scarf. The wind-chill gets icy. I walked by Rundetårn, or the Round Tower, every single day on the way home from class or on the way to Netto, the local grocery store. And yet, it took me until my last month in Copenhagen to walk inside. While the view at the top is certainly beautiful, the real photographic potential of the space emerges in the slanted ascent inside the tower as the light peaking in from the windows creates dynamic shadows. Often hailed as one of the prettiest squares in KBH, Gråbrødretorv boasts a beautiful row of different shades of red houses. Almost every angle in this square makes for a lovely image. You could capture pedestrians dining al fresco at restaurants or focus on the architecture’s bright colors. When your summer, semester, or year in Denmark comes to a close, I hope you’ve made an active effort to appreciate where you are every day. When I found myself in that rut of feeling like I’ve already seen Copenhagen, I made an active effort to see or experience something new. Whether that was riding my bike through a new neighborhood or investigating that museum I keep hearing about but forgetting to go when it’s free on Tuesdays (seriously, go to the Ny Carlsberg Glyptotek). Take a minute to stop everything and see where you are. Photos aren’t everything, but you’ll be thanking yourself later for the memories they captured. Next Where will you adventure on Study Tour this summer?